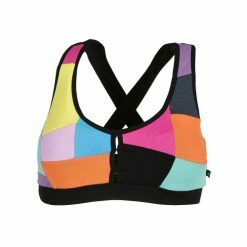 Mirim sports bra is the perfect solution for the intense workout, where you get exhausted at the end! 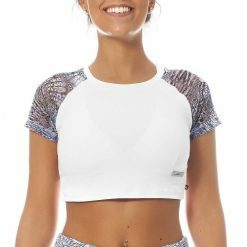 This front fastening sports bra is very practical to use in your fitness activity. 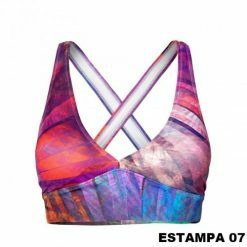 FRONT CLOSURE MIRIM SPORTS BRA! Mirim sports bra is the perfect solution for the intense workout, where you get exhausted at the end! 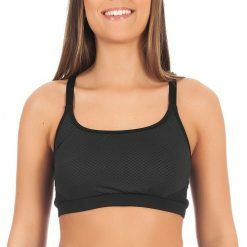 This front fastening sports bra is very practical to use in your fitness activity. It also has a Patuá medal and a neoprene detail in the bottom, giving you even more comfort. Its knit is resistant and the custom elastic shoulder straps are reinforced, offering excellent chest support and full freedom of movement.